Spider-Man Into the Spider-Verse movie swings onto Digital February 26 and on 4K Ultra HD Combo Pack, Blu-ray Combo Pack, and DVD on March 19! 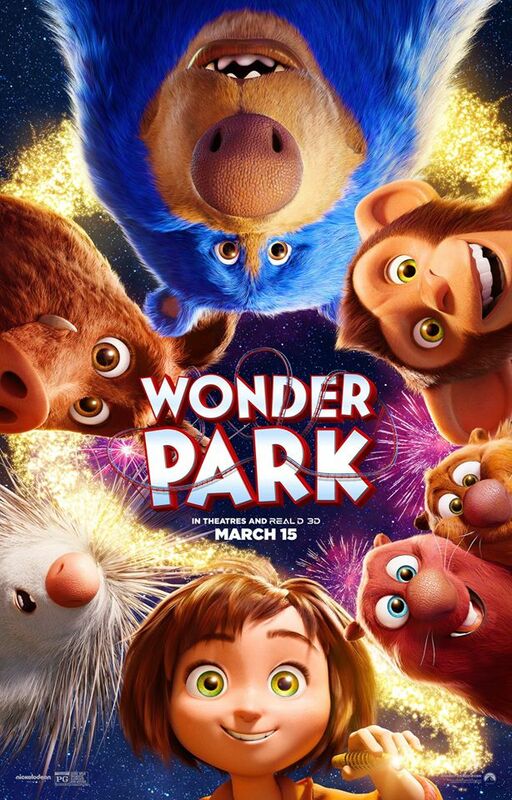 This multi-award-winning animated film was an instant favorite for my boys. We loved the unique look to the film and introduction of new characters too! Read on for more details, plus enter the giveaway below. This fresh vision of a different Spider-Man universe brings groundbreaking visual style that’s the first of its kind. Spider-Man into the Spider-Verse introduces Brooklyn teen Miles Morales, and the limitless possibilities of the Spider-Verse, where more than one can wear the mask. 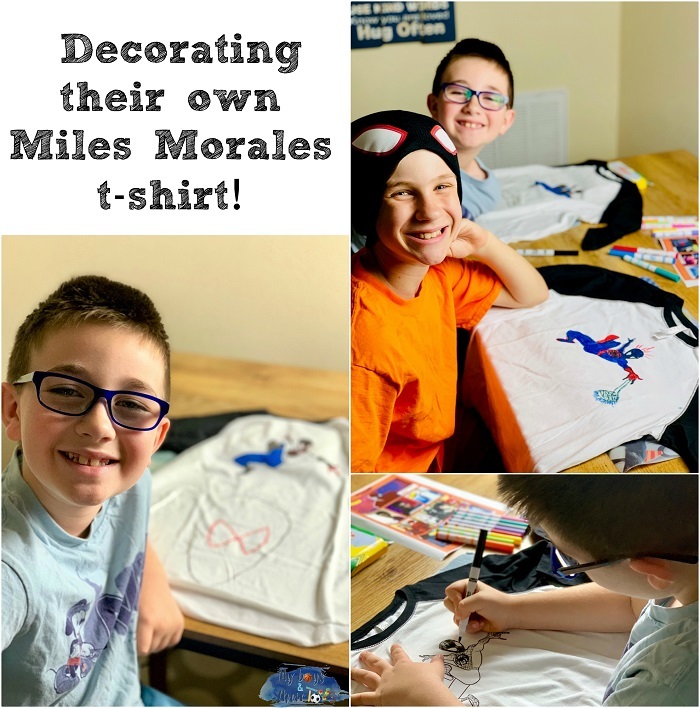 In addition to receiving the Blu-ray combo pack of Spider-Man into the Spider-Verse, the boys also received Miles Morales t-shirts and fabric markers to inspire their own creative designs. They loved this DIY craft and can’t wait to wear their new t-shirts! 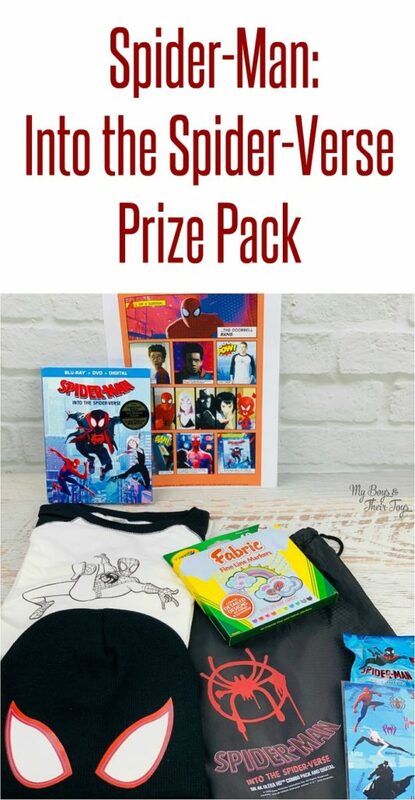 Enter below for your chance to win Spider-Man Into the Spider-Verse Blu-ray, T-shirt, Fabric Markers, Cinch Sak, and variety of other movie merchandise! I would take a large kids shirt. My kid would most like the large shirt. I would like the size large shirt. I would like a kids large please. I would like a large kids shirt. I would need a large for my kiddo. large please. 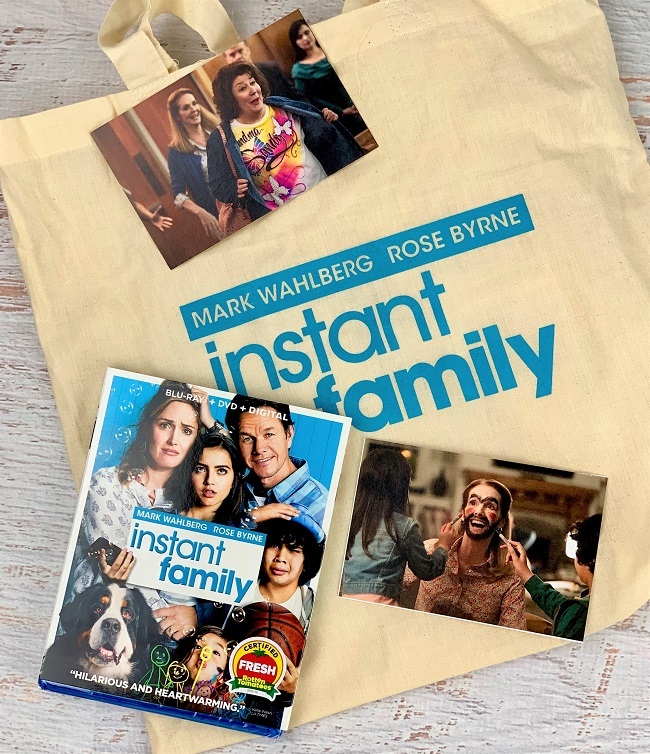 this is such a cool prize pack! I would love a Medium! Thank you for the amazing giveaway! In kids’ sizes I guess I’d have to go with Large, since there isn’t an XL (for unisex adult sizing it would have to be small). What a fun project! I would like a size small please. My daughter is a size small. I would like the medium size. I would choose a Small, please. We would like Large, please! We would like a size small kids shirt, please and thank you. I would like a small please. We love all things Spiderman in my household. 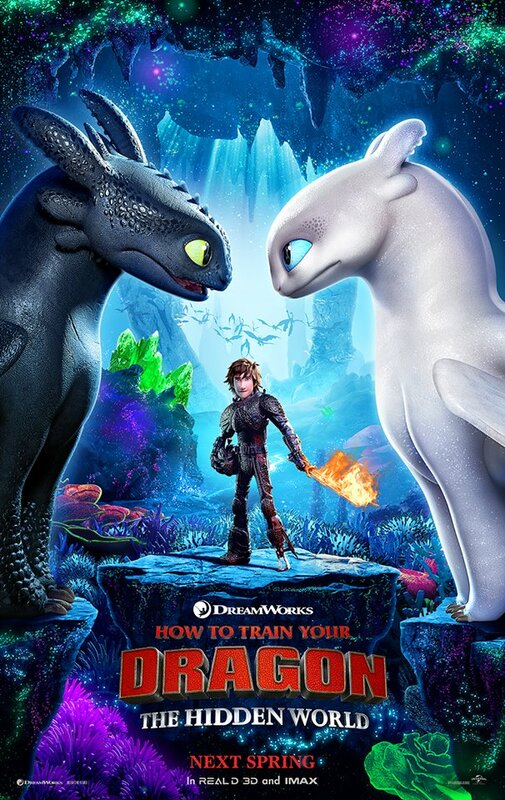 The kids can’t wait to see this movie too! Size: Medium. Thanks for the giveaway! My Spidey son would like size L please. Either a M or a L either would work. I would like the shirt in a child large! I would need a medium for my son. I would like size medium for my son. I think medium would work! Medium, please. Thank you for the chance to win. I’d like a medium for my boy. I would love a large for my son. Probably a medium would be good for my nephew. I think he’d like this so much. I would love to have a size L adult shirt. I meant to say kids large, sorry my phone used predictive text. my son is 4 and i think that he would need a small. I would want a large shirt. A medium would be great. I would like Large for my son. I would like a large size, please. If it is 2 big she can always grow into it. My son wears a size large. I would like to get a L size kid’s T-shirt. I would like a L.
I would like size small. My little wears a small! I would like size large. My 3 year old LOVES Spiderman! This would be awesome!